A wedding banquette is always an important part of any wedding. In La Tria you have the freedom to design it as you always wished. 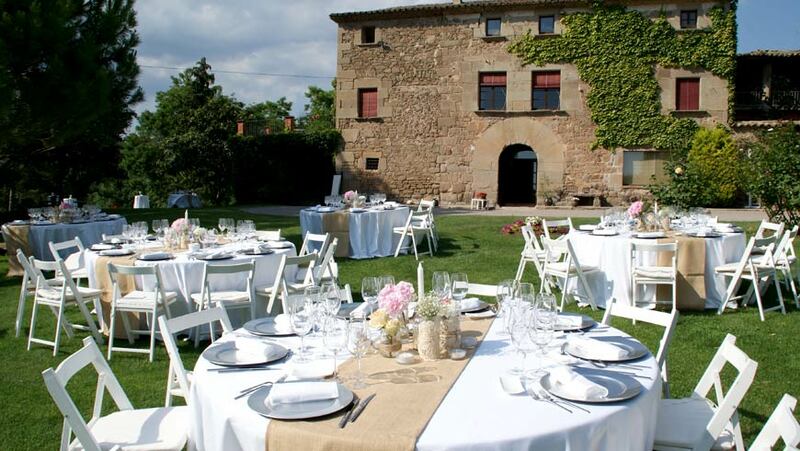 You can choose the catering or restaurant you prefer, we can also give you some suggestions. Maybe a Michelin star meal? or a traditional Argentinean asado? A splendid dinner indoor or a casual lunch in the sun? La Tria will surely suit to your ideas and taste. A La Tria teniu una infinitat de possibilitats a l’hora d’organitzar el vostre convit de casament: a l’exterior, a l’interior, drets, asseguts, de nit, de dia, taules rodones, taules llargues . . . i totes les possibilitats que pugueu imaginar. La Tria’s garden is ideal to enjoy the beauty of flowers in bloom and lush green lawns. You can celebrate your banquette in a summer night, looking at the sunset or during the day. 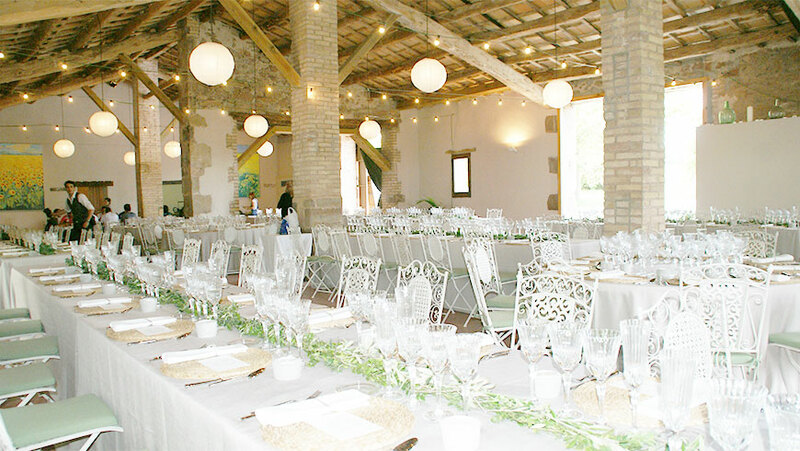 The Hall (el Cobert) has room for 250 guests thus is the perfect place if the weather is not so nice or you simply prefer to do inside. Big windows, high ceiling and all the modern facilities to host your banquette.